in the cloud – made easy. 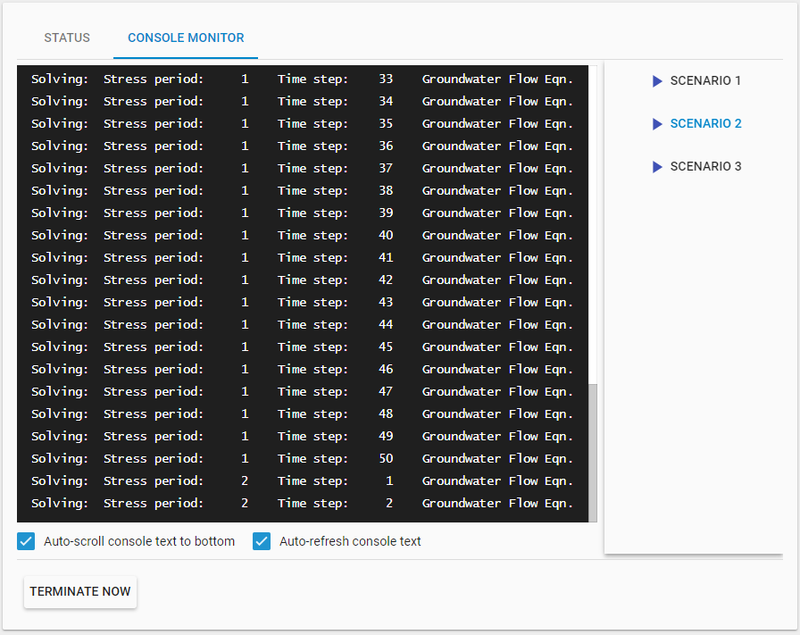 Run PEST or PCM workloads in the cloud to perform automated calibration or uncertainty analysis at any scale. Just upload your model files, specify a type and number of compute nodes and start the run. Utilize anywhere from one to hundreds or even thousands of compute nodes for each run. When the run is finished, result files are automatically copied into AlgoCompute's secure cloud storage for retrieval at your convenience. Prepare multiple alternative versions of your model files and run them in parallel for manual calibration or 'what-if' analyses. Simply provide your base model files once, then add alternative versions of one or more files to be substituted per scenario. Alternatively, you can upload your own custom model executables along with your model files. 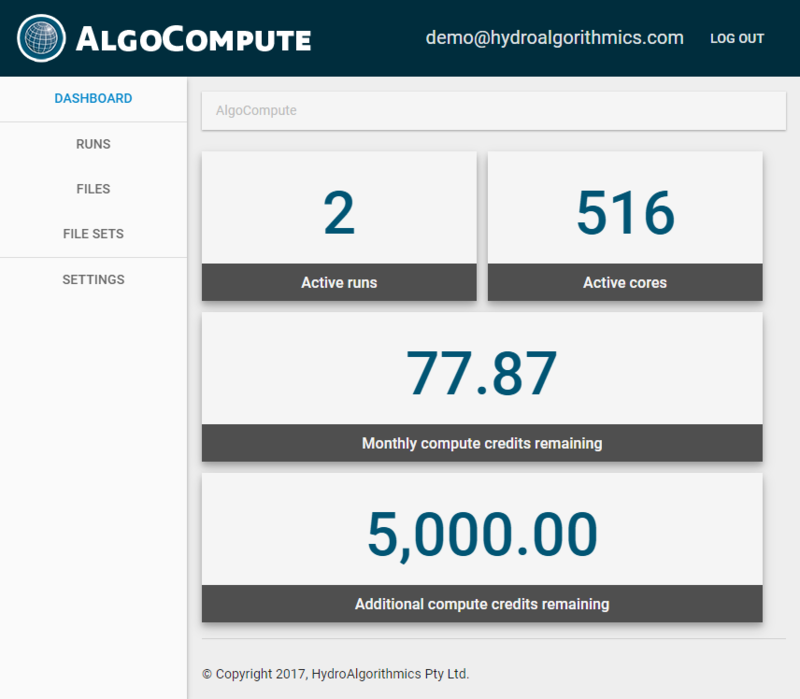 Easily monitor the progress of any run in real time from the AlgoCompute web interface. Keep an eye on the number of active compute cores and monitor your account balances on the dashboard. Optional email notifications inform you when a run starts and finishes execution, and even when each new PEST optimization iteration commences, so you can keep track of lengthy runs from anywhere. Terminate a run at any time from the web interface. All you need to access AlgoCompute is a modern web browser; no local software installations are required. Runs are performed on independent cloud compute nodes. During a lengthy run, you can continue working locally or shut down your local workstation as you like, without worrying about interrupting the run. Files may be transferred to and from AlgoCompute's secure cloud storage either directly through the web browser, or via a Dropbox folder for speed and convenience. AlgoCompute is a service offering of HydroAlgorithmics. HydroGeoSphere is a trademark of Aquanty, Inc.